Entry is conditional on purchase of $10 or more at any participating Toronto Town Square store, completion of the entry form above and lodgement in store. The promoter is Toronto Town Square, The Boulevarde Toronto NSW 2283. The promotion commences Thursday November 9, 2017 and closes 3pm Thursday December 14, 2017. The competition is a lucky draw and the first five (5) entries drawn will win. 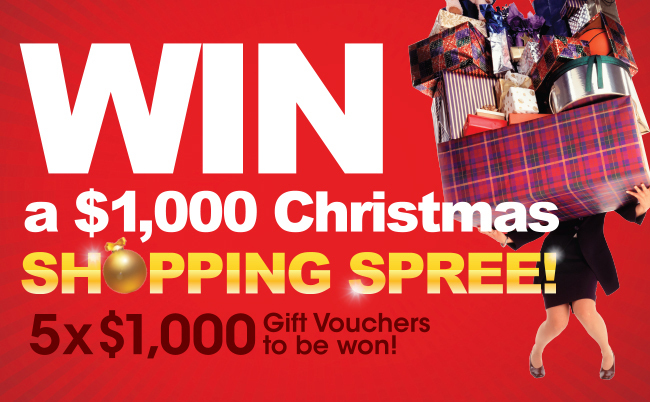 The prize is one of 5 x $1,000 Gift Vouchers, total retail value $5,000.